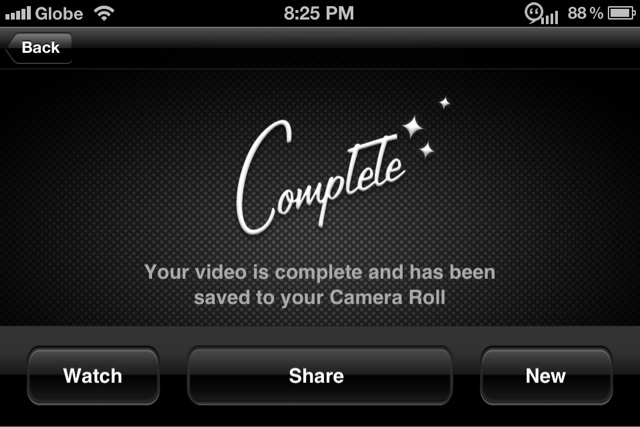 One thing iOS built-in video recorder lacks is the ability to edit the video that you have recorded. Well I cant blame Apple since after all they call it a recorder and not an editor. If you insist on having one on your phone then you might want to try Videlicious. It allows you to create cool movies with different theme of your choice. Just follow the steps on the app's screen to build a movie of your own. Step 1: Choose your video or set of photos from your library or record a new one. Step 2: Record your story. Step 3. Choose the background music of your movie. Thats It! Videlicious will process your video and then you can either watch, share or create another movie.